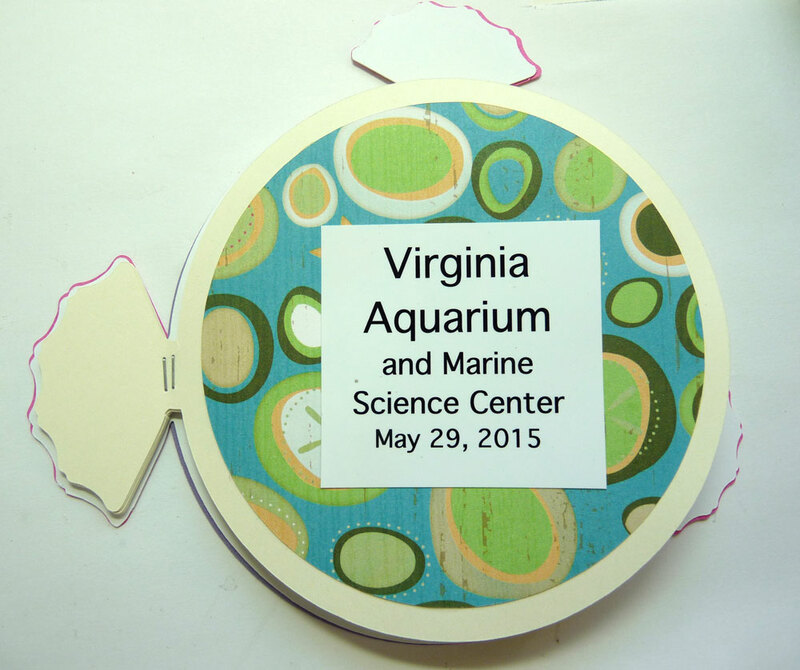 Luckily, my husband and I recently went to the Virginia Aquarium and had plenty of pictures to use for the current challenge at Die Cuttin’ Divas — National Aquarium Month! And here’s the back cover. I deleted the face parts. To assemble it, I stapled the back fins together with the Tim Holtz Mini-Attacher, then I prettied up her tail with Tickled Pink Trendy Twine. 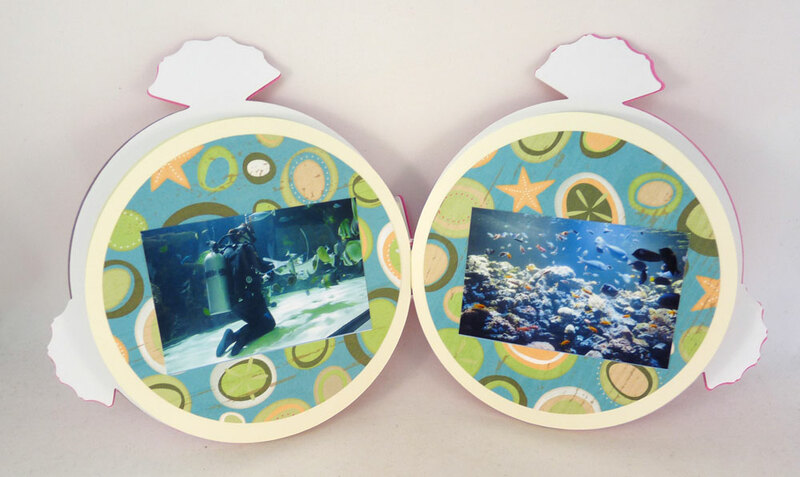 Here are the details for this challenge — Theme: National Aquarium Month (Something you’d find in the sea); Begins: June 9th; Ends: June 15th; Sponsor: Your Next Stamp; Prize: $20 Gift Certificate! 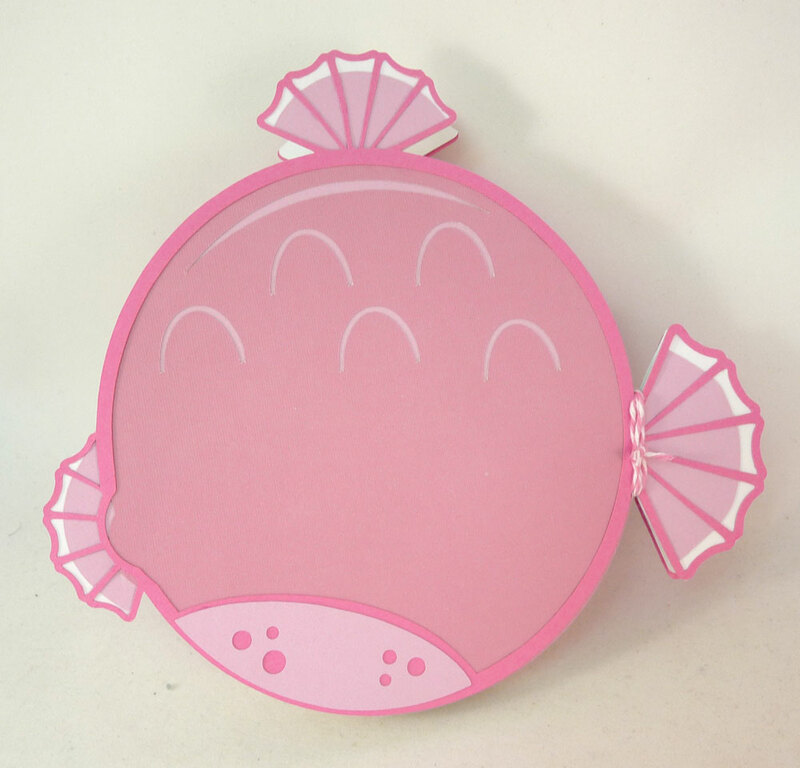 Hope to see your fishy projects over at Die Cuttin’ Divas this week! This entry was posted in Paper Crafting and tagged Die Cuttin' Divas, Mini-album. Bookmark the permalink. So clever. The whole time I was looking at your pretty pictures and pages, I was scratching my head asking…how did she do that. Thank you for the instructions. Your little project is precious! Ooooh – such a cute little album! Love how cute he his! Adorable album! Thank you for sharing your cute idea! Evelyn, that is adorable!! Great job. Super cool, cue & clever!! I love this adorable mini album!! You ROCK my friend! This little mini album is super sweet. 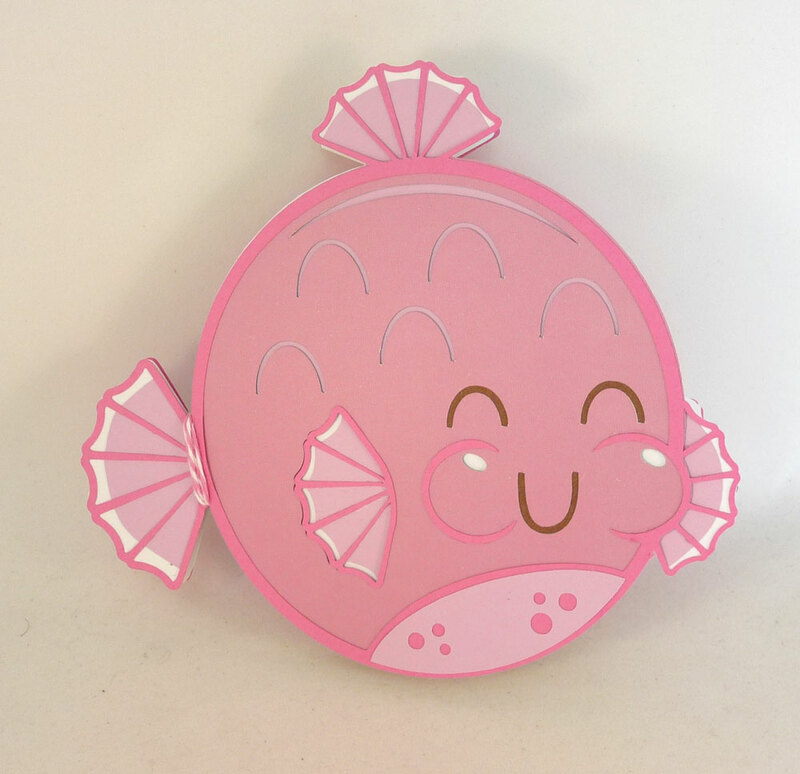 I love the pink puffy fish and the way you turned him into a little memory of your trip. This is sooo adorable!! Love it!! Have a great day.